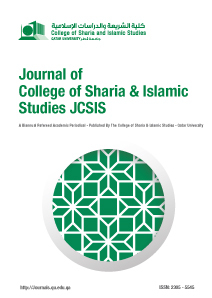 The Journal of College of Sharia and Islamic Studies (JCSISss) at Qatar University is a peer-reviewed, bilingual, open access journal committed to publishing original high quality scholarly research papers in the scope of multidisciplinary classical and contemporary Islamic studies in both Arabic and English. JCSIS is available in print and online and published twice a year (January & July), the journal seeks to achieve leadership in publishing refereed academic papers in its field and to rank amongst the world’s most renowned scientific data bases. Further, the journal aims to bring perspectives from around the world to developments in the classical and contemporary Islamic Studies. 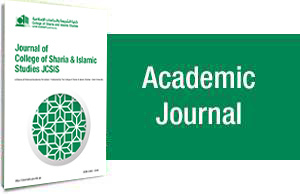 The Journal of College of Sharia and Islamic Studies (JCSIS) at Qatar University is a peer-reviewed, bilingual, open access journal committed to publishing original high quality scholarly research papers in the scope of multidisciplinary classical and contemporary Islamic studies in both Arabic and English.